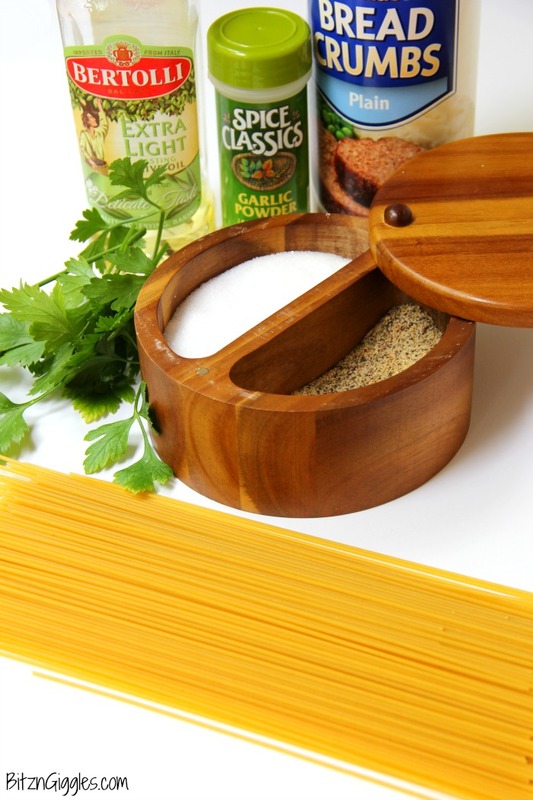 Breadcrumb Spaghetti – Breadcrumbs, fresh herbs and a splash of lemon make this pasta dish something the entire family will enjoy! When it comes to food, my kids are picky. Do you have picky kids or grandkids, too? One day they’ll shovel down an entire plate of something you’ve never seen them eat before. You rejoice. You make the same thing again and wait for the cheering and applause to begin. . .but there’s nothing. . .there’s silence. . .and they push their plate away. What?!! But. . .but. . .they ate this just last week and they LOVED it. Are you kidding me? This, my friends, is a phenomenon – something that parents just can’t seem to figure out about their kids. I know I’m not alone because I’ve talked to many moms who go through the exact same thing. I’m not crazy. Kids, if you’re reading this, keep your comments to yourself. I often throw my hands up in the air, I put up my surrender flag and just give in. . .and make their favorite dishes – the staples. . .the ones I know they’ll eat. . .and this Breadcrumb Spaghetti is one of those recipes. 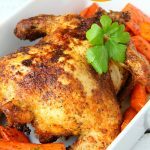 It’s literally five ingredients with some common spices like garlic powder, salt and pepper. It’s like a step up from buttered noodles – or noodles with parmesan cheese. 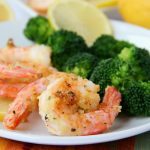 It’s something our entire family enjoys, and it has just enough flavor to make it appealing to both kids and adults. 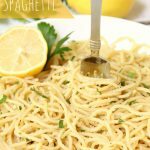 I’ve served this pasta with many main dishes, from my Lemon Fried Chicken to my Potato Chip Pork Chops. I also remember a dinner where we ate only this. 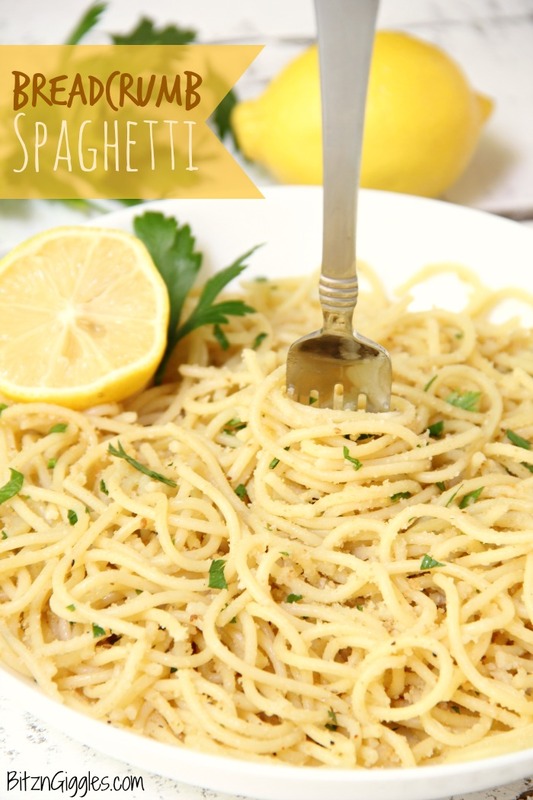 If your kids don’t like lemon, omit it from their portions and just squeeze some over the spaghetti on your plate. All of the spices are to taste, so feel free to experiment. Add a little, taste, and add a little more. Breadcrumb spaghetti is just one of those recipes that should be in every church cookbook. 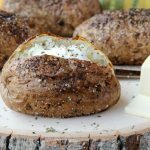 All of those recipes in your family that have been just “thrown together by memory” over the years? Yep, this is one of those. 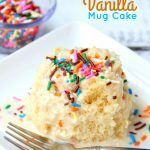 It’s surprisingly. . .delicious and it’s something the whole family will enjoy. 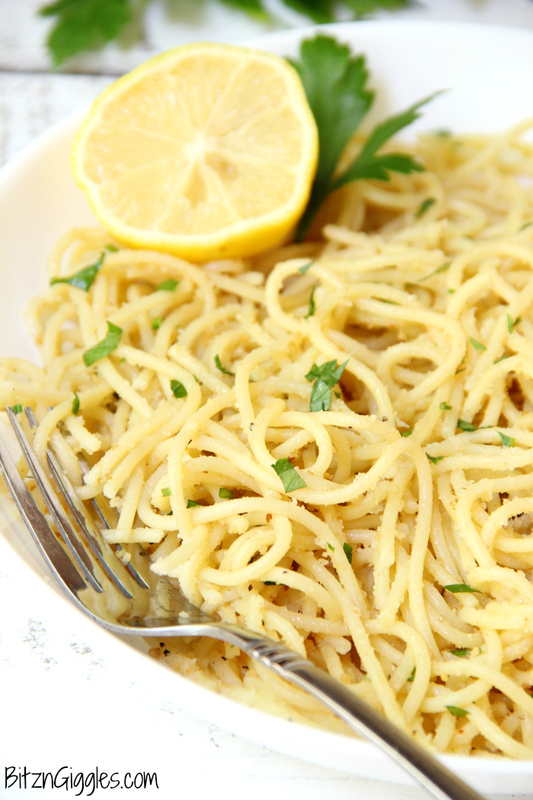 Breadcrumbs, fresh herbs and a splash of lemon make this pasta dish something the entire family will enjoy! 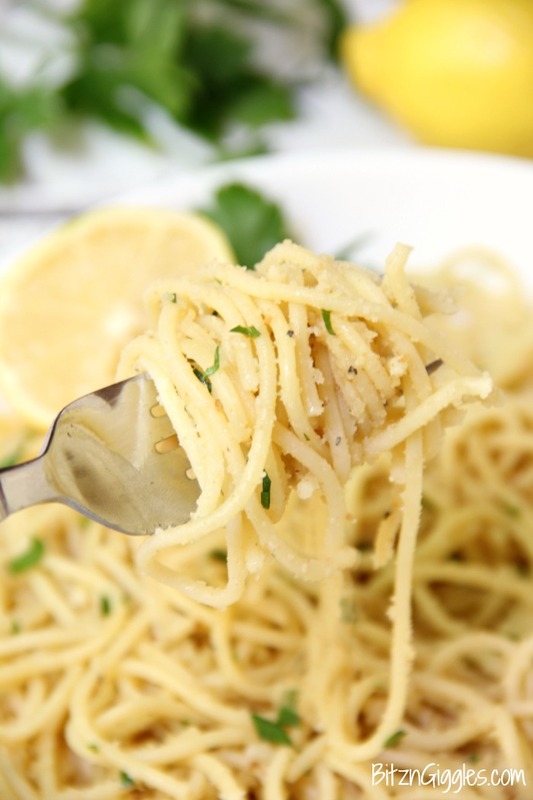 Toss spaghetti with olive oil, bread crumbs, chopped parsley and lemon. Sprinkle on garlic powder, salt and pepper to taste. This looks so good Sara!! My kids would love that!! Thanks, Jaren! I bet they would! It’s really mild but yet has a good flavor. A great choice for both adults and kids. Thanks for stopping by! Hope you’re doing well!